A last minute postponement of the planned climbing trip to Indonesia (Summit #6) and we found ourselves instead at the Summer Outdoor Retailer show in Salt Lake City then direct from the show to Washington state, home of one of North America’s prominent mountains, Mt. Rainier. Civil unrest in Indonesia near Carstensz Pyramid has temporarily halted all climbing in the area. At 14,400ft., Jordan yells over the howling wind “3 down, 47 to go!” Jordan’s referring to his next mission to high-point the U.S. (standing on the highest point in each of the 50 states). Jordan’s standing on top of Rainier, the massive free-standing mountain that commands tremendous respect and has claimed the lives of many who tried to reach it’s peak. So, though Jordan still sees it as training for the 7 Summits, he’s now bagged three of the U.S. High-Points; Washington’s Rainier, California’s Mt. Whitney and Alaska’s Mt. McKinley. The stretchy and super-breathable Cutter Tech Knickerbockers feature Polartec® Power Shield® so they fend off moisture and won’t restrict movement while you pedal. The ¾-length cut stays clear of your cuff-tearing chainring and the articulated fit pulls functional duty in the saddle, minus the fresh-from-the-Tour look when you meet your crew at the bar. Polartec Hardface® technology adds outstanding durability. MSRP $149. P.S. 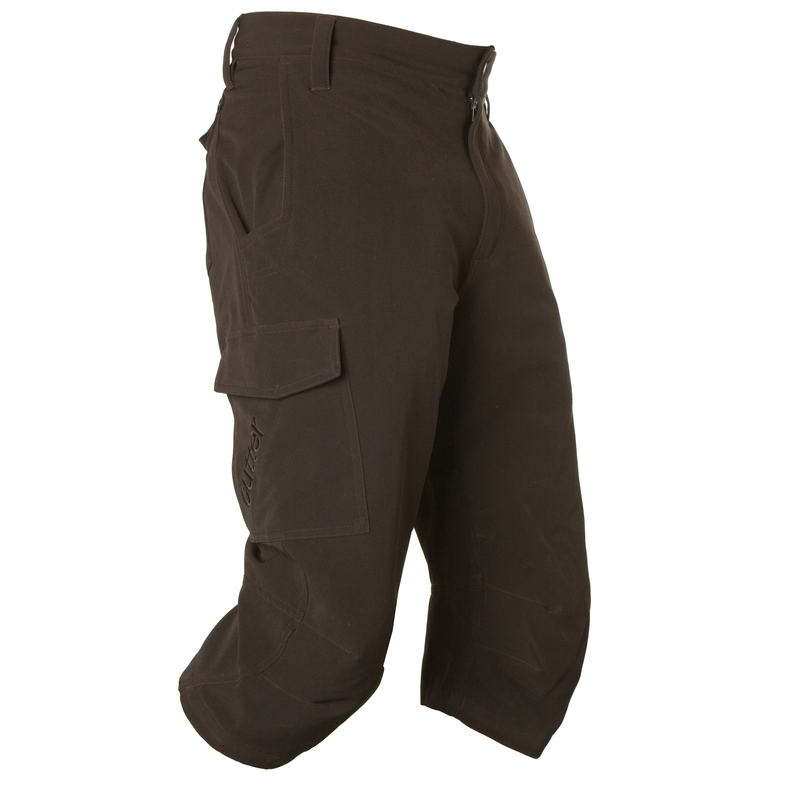 I just looked and these are on sale right now – 30% off at the backcountry.com outlet. P.P.S. I’ve got a sweet Polartec garment for the first person to guess where the brand name ‘Cutter’ comes from. Post in the comments section. UPDATE- The Gear Junkie put the Cutter Knickerbockers through the ringer for 6 weeks and just posted a glowing review. Read it here.